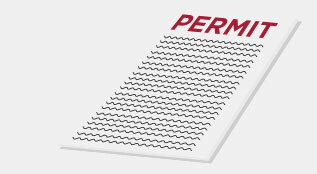 To comply with Canada Soccer requirements, effective immediately, a Trial Registration Permit (TRP) cannot be used for a minor or an adult player from outside of Canada/Ontario who require an International Transfer Certificate (ITC) or an Inter-Provincial Transfer Certificate (IPT) to register. A TRP can only be used to request a trial period for a player while training. As a result, Ontario Soccer has made adjustments to the Ontario Soccer TRP form as well as to the Ontario Soccer Short Term Registration Permit form. The TRP form now indicates that only non-registrants who do not require an ITC/IPT may apply for a three game trial period with an Ontario Soccer Registered Team. Under no circumstances can a player who requires an ITC/IPT play in an Ontario Soccer sanctioned match without first receiving an ITC/IPT. Players who require an ITC/IPT can however use the TRP form to request a trial period only for training with a Registered Team. Nonetheless, the TRP expires 30 days after its start date. The Short Term Registration Permit form has also been adjusted to inform any interested non-registrants who have been previously registered outside of Canada/Ontario that they are ineligible to participate in an Ontario Soccer sanctioned tournament without first receiving an ITC/IPT. For more information regarding ITCs and IPTs, please visit Ontario Soccer International Transfers.